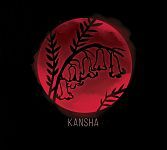 "Kansha" is a Japanese word to express a deep sense of gratitude. As a fourth generation Japanese-American, my desire to express deep appreciation for my heritage was the inspiration for this project. Traditional Japanese stories and folk songs woven with personal memories of growing up in Hawai'i form the backdrop for the original compositions on this recording. I also reflect the melding of Japanese and American influences through customary Japanese instruments along with modern Western instruments. MELANIE YAMADA currently holds the position of Second and Bass Clarinet with the Oregon Ballet Theatre Orchestra in Portland, Oregon, and also serves as acting Third and Bass Clarinet with the Hawaii Symphony Orchestra in Honolulu, Hawaii. She has also performed with the Hawaii Opera Theatre, Chamber Music Hawaii, Las Vegas Philharmonic, and Sarasota Orchestra. In 2004, she was awarded runner up in the International Clarinet Association's orchestral excerpt competition and in 2008 she selected to be a participant of the highly competitive Weill Institute Carnegie Hall orchestral master class program. She holds her Master’s Degree in clarinet performance from Rice University and her Bachelor’s Degree in clarinet performance from the University of Michigan at Ann Arbor. "Japanese works for clarinet might be seen as fairly niche repertory, but it is rewarding nonethe­less. Although Neil McKay (b. 1924) is a Canadian composer, he has scored his piece Soundprints for clarinet and koto, in an attempt to represent East and West via variation form, concluding with some taps on small, tuned brass bowls. McKay moved to Hawaii in 1965 and it was there he found his affinity with the koto. Melanie Yamada, a member of both the Oregon Ballet Theater Orchestra and the Honolulu Symphony, is an exemplary clarinetist, her superb control everywhere evident. The opening Introduction is marked.freely and is wonderfully gestural before the theme appears in uni­son. While the piece can also be played by clarinet and harp, the koto adds a particularly place-spe­cific element. There is a touch of jazz, an identifiably Western touch, to the Fifth and final variation. The four Japanese Folksongs arranged for clarinet and piano by Scott Richards act as a delight­ful interlude. The first, "Flowers of Patience," is gently rocking in its accompaniment, over which the clarinet seemingly improvised its (sometimes highly decorated) melody. "Red Dragonfly" is par­ticularly beautiful, and has an easy flow, while the beautifully flowing "Spring Song" shines with in­ nocence. The skill of both players is particularly apparent here, in portraying a magnificently care­ free demeanor. The understated legerdemain of Mariko Fumkawa is a particular delight." "Rather more elusive is Takeo Kudo's Wooden for clarinet and piano. The composer explains the title as coming about because the clarinet is the "woodiest" of the woodwind instruments; it also refer­ences bonsai. The musical language is complex but almost unwaveringly gentle. The same composer's Another Time and Place was commissioned by Yamada. Referencing shakuhachi (Japanese flute) techniques while remaining true to the spirit of the clarinet (an interesting yet obviously rewarding high-wire act), the piece for solo clarinet fascinates in its unpredictability; and in the silken legato of Yamada. The miracles of multi-tracking enable Sakura-Song-Five to be performed by the one clarinetist, Yamada. Originally written for the 2012 All Japan Band Competition, it is charming and continues the theme of innocence, this time with a somewhat nostalgic bent. Finally, we have two versions of The Journey of Momotaro for clarinet, piano, and narrator, one narration being in English, the other in Japanese. The story tells of a "peach boy" (he comes out of a peach, obviously), well known in Japanese folklore. Included within the nine-minute piece is an arrangement of the song Momotaro by Teiichi Okano. In English, Michael W. Perry is a fine story­ teller; I don't pretend to understand Maya Bertosa's Japanese, but her voice has a certain floaty qual­ity that is most appealing regardless. The music itself is, again, charming. A fascinating release, well worth seeking out.